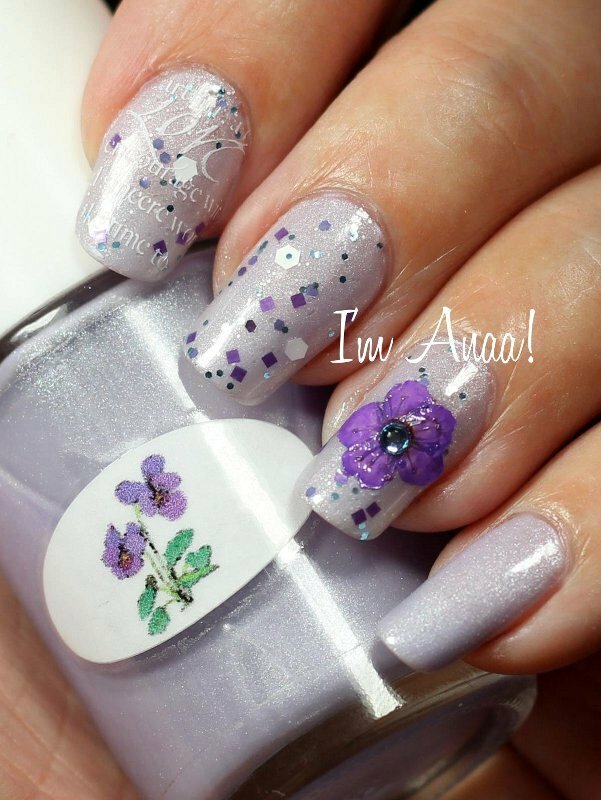 The Nail Junkie Violet + Penélope Luz Love Me Tender + flower and stamping! I added a dry violet flower to match the name of The Nail Junkie polish and a light blue rhinestone to match the blue glitter of Love Me Tender. I also stamped with Konad white and BM-311 a design with the word "Love" to remind the name of the Penélope Luz polish. Oh so pretty... and so romantic without becoming kitsch! I ADORE this mani!!!!! Oooh, I love this mani. Plenty of different stuff going on but still subtle and very pretty!